The court alternates weeks between hearings before the judge and pre-trials with the city attorney. Welcome to the City of Racine Municipal Court. The Municipal Court provides a neutral setting for resolving alleged violations of the City’s ordinances. The Court has jurisdiction only over non-criminal, municipal ordinance violations. 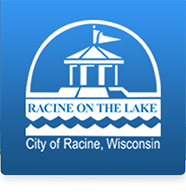 Each case before the Municipal Court begins when the City of Racine issues a citation (ticket) alleging a violation of a City ordinance. The ticket will include a hearing date for your first appearance. Most tickets state that you do not need to appear at the hearing. Although an appearance is typically not required, please understand that unless you file a Not Guilty plea prior to this initial appearance (see below), your non-appearance will result in a finding of Guilty and you will be required to pay the amount on the ticket. If you come to the court appearance, it is your opportunity to enter a plea. If the plea is Guilty or No Contest you likely will be found guilty and the court will impose a sentence, normally a fine (forfeiture), and you will be given time to pay. If you enter a plea of Not Guilty at (or before) the Court appearance, the Court will order you to attend a Pre-trial meeting with the City Attorney. If you and the City Attorney come to a settlement agreement, the Court typically accepts the plea agreement. If you are not able to reach agreement with the City Attorney you have a right to a trial with the Court. Except for juvenile proceedings, all court matters are open to the public.